Start Your Wool Crazy Journey Today! Let the wool craziness continue! Wool Bundles can be found here! 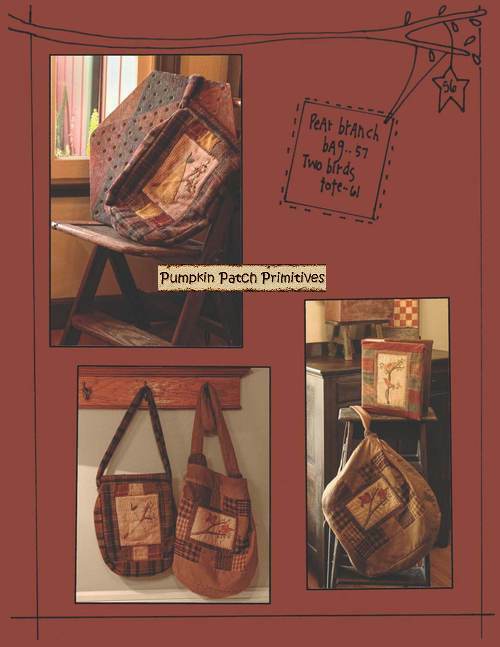 This blog is owned and operated by Pumpkin Patch Primitives Quilt Shoppe. 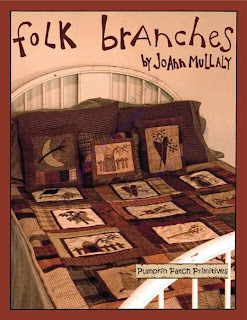 This blog is not affiliated or associated with any other quilt shop. 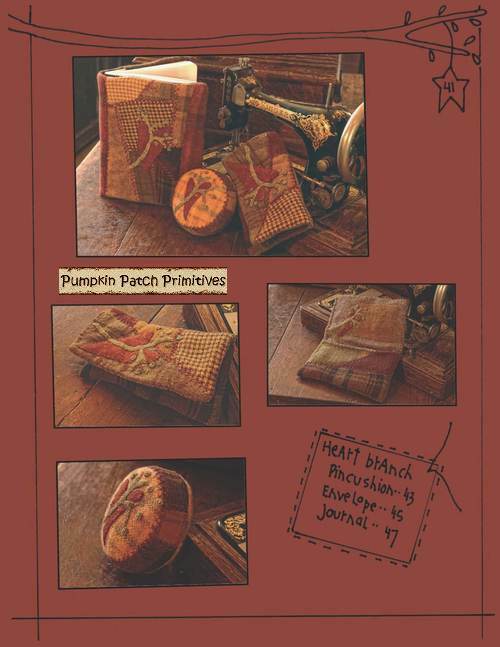 While at Quilt Market this past week I came across Sue Spargo's new book, Creative Stitches. My first thought was "BINGO!" Finally, a book that takes my Wool Crazy and kicks it up a notch. 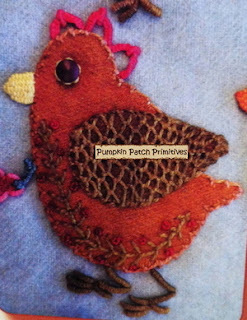 I love my Wool Crazy pieces but I have to tell you, once I have that applique on there, I am stumped. I find myself thinking, now what?! Yep. It's always the same old stitches for me and I just cannot get motivated to find new ones to add... so I just applique my pieces and they sit there, waiting to be embellished... forever! Yes, my Wool Crazy unfinished pile is tall, and it is definitely not because my Wool Crazy books don't have the most amazing applique templates ever, it's because once I have them on there I can't think of how the heck to embellish them. Needless to say, when I saw this book I was beyond excited. I was thrilled. Check out the little chick up there, hello?! This is from the book, Now who the heck thinks like that? Sue Spargo does. 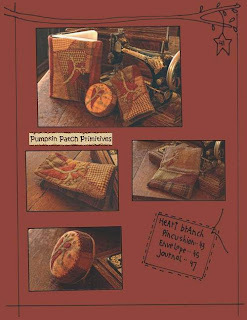 This book does not have applique patterns of any kind, this book is all about the stitches. There are diagrams for each stitch and a color photo of the finished piece. 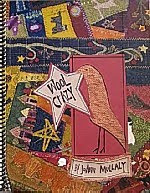 I tell you, this book is amazing, and a perfect reference for those of us who love our Wool Crazy applique and are looking to kick it up a notch. Don't miss this one, it'll help you get back on track and breathe new life into those Wool Crazy projects. Have fun! 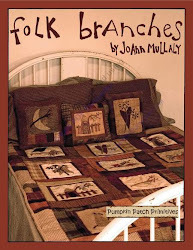 Jo Ann Mullaly's new book, Folk Branches has finally arrived at the Pumpkin Patch. 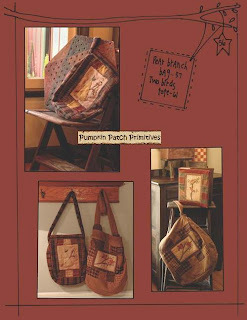 It's chock full of beautiful wool projects, including some more of her wonderful Wool Crazy ones. A little bit of everything, for everyone. Start small and work your way up. This book is just wonderful. If you've fallen off the Wool Crazy wagon, dust yourself off and get back on. It's time to get back to creating beautiful things for yourself, your family and your home. Surround yourself with things that inspire you, start something you can actually finish and before you know it, you'll be back on track. Order your copy today and get to it! Have some Wool Crazy fun today! 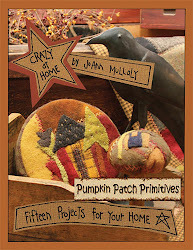 Anyone sewing on their crazy quilt? Now with the cooler weather has anyone gotten their crazy quilt out? I'm gonna try and get back to it this Fall and Winter. Hi! 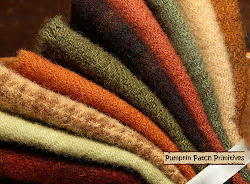 Do you remember the group of friends I did my wool crazy round robin with last fall? This was Debbie's top when she got it back after we all had stitched on it. Yesterday I went for a visit and she has it finished! She decided to remove some of the buttons and do some addition wool work on her section. She then stuffed it with fiber fill and around the outside crushed walnut shells so it wasn't too heavy. Here is a close-up of her revised section. Didn't she do a lovely job? Well done Debbie, I'm sure you will enjoy it for many years to come.